Melbourne-based hair and beauty business, Louvre Malli Hair, rebuilt their website with us and we’re excited to tell you all about them as they’re the latest build from WMA! Louvre Malli Hair are experts in a variety of hair extensions, salon services, and makeup. Understanding how a makeover can make you feel, they’re dedicated to making you feel and look amazing. Creative director, Anita Louvros, is established in the hair industry and is one of Melbourne’s best hair extension specialists. With over fifteen years of knowledge and experience, Anita has provided excellent service throughout Australia and abroad! The team at Louvre Malli Hair strive to provide amazing transformations with excellent hair extensions. Using A-grade quality, undetectable Slavic Russian and European Remy extensions, as well as Remy Ponytail Clip-ins. 20-inch Ponytail Hair Extensions, available in a range of colours from black to platinum blonde and. The durable Remy hair can be washed, professionally coloured, curled, and straightened. 20- and 22-inch Seamless Invisi Skin Weft Hair Extensions. These luxurious extensions are double-drawn, hand-tied, A-Grade Russian Remy Hair. Perfect for adding volume and thickness to the hair. 20- and 22-inch Seamless Clip-In Hair Extensions provide undetectable length and volume with the ease of clipping into the hair. Not only that, but Louvre Malli Hair also offer hair topper services for clients who are experiencing thinning or balding due to hereditary hair loss or illness. With the ability to transform your look, the team will make sure you’re feeling and looking your best! 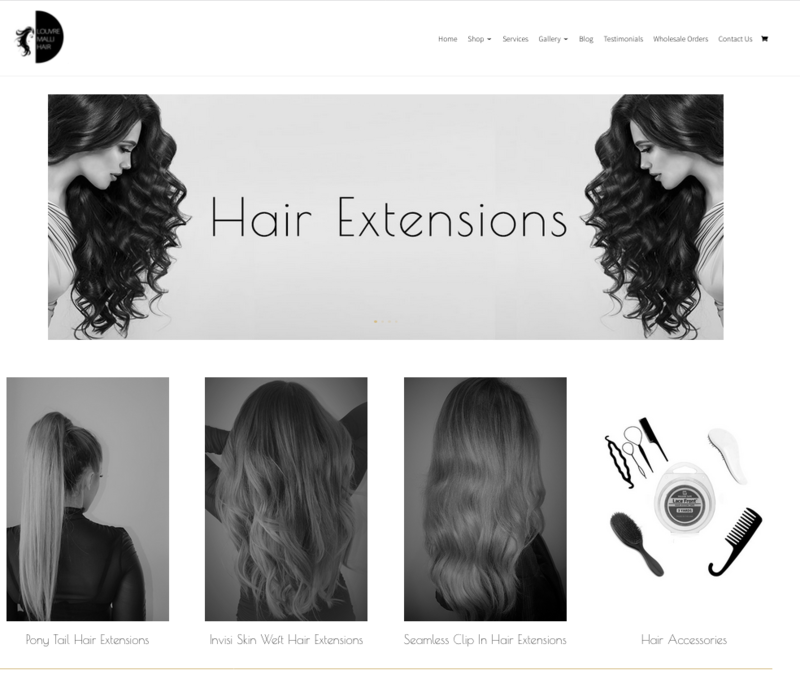 The Louvre Malli Hair website has an online store with their favourite hair extension tools and accessories. Purchase professional quality extension tape, brushes and combs, and styling tools for competitive prices. You can shop in confidence knowing Louvre Malli Hair only carry the best products that they know work! Louvre Malli Hair have everything you need to freshen up your look or transform it. With experts who are passionate about hair, they’ll have you walking out of the salon looking and feeling fabulous!